I was quite surprised how well quinoa flour and chocolate go together. These muffins are light and airy and the chips give them a big chocolate boost. Quinoa flour has superior nutritional value to wheat flour so who says you can’t have your cake and eat it too. Line a standard size 12 muffin pan with paper liners. Mix all the liquid ingredients in another bowl. Mix everything together with a whisk, until you have a smooth batter. Sprinkle the chocolate chips equally among the muffins. Bake for 18 to 20 minutes or until a toothpick inserted comes out clean. 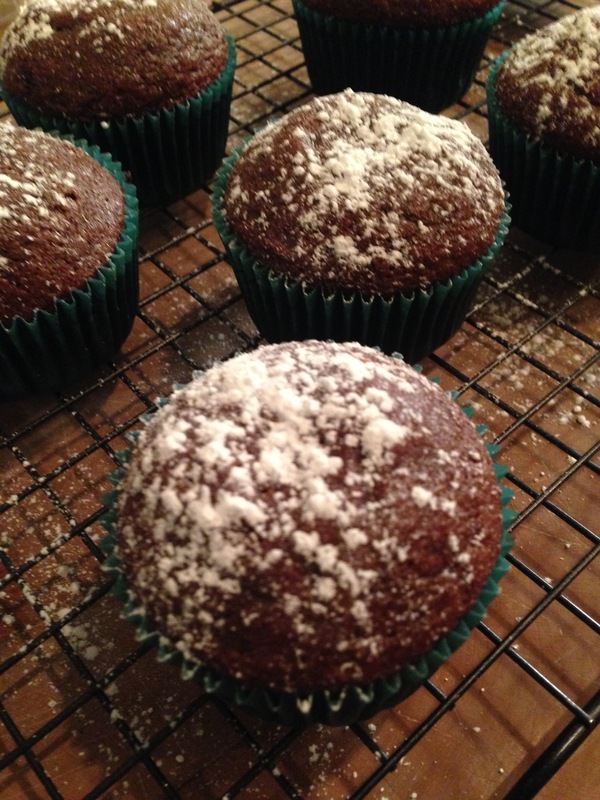 This entry was posted in Recipes and tagged chocolate, cocoa powder, Gluten-Free, Muffins, quinoa flour. Bookmark the permalink.